Kevin: I bet you didn’t expect this title on top of our list. After all, it just happens to be a new show by the anime director who marries social consciousness with a flamboyant aesthetic in the most deliberate, impactful ways. A project so exciting that we already wrote a preview for it months ago. Really, a surprise number one choice. Director Kunihiko Ikuhara seems to have grown to enjoy the journey just as much as reaching his destination. His modern projects have been putting its thematic keywords front and center before the broadcasts even begin, in a move akin to giving the viewers the middle pieces of your puzzle months ahead and then slowly handing the rest as the shows progress, all with an earned smug expression on his face. There’s a lot we can deduce about Sarazanmai‘s theses, and other messages that have more or less been stated already; we know he intends to tackle the truthfulness of our bonds in a modern hyperconnected society, that consumerism won’t escape unscathed either, that his stage’s spotlights will be on the disenfranchised again with an emphasis on MLM relationships, and of course that his societal exploration will be once more framed through mythological (and presumably real world) happenings he found interesting. And yet at the same time, no one has any idea what this show’s going to do… including the fans who attended the prescreen of the first three episodes, and the voice actors who felt helpless anytime the director wasn’t right there to help them parse the dialogue. Ikuhara’s shows work on multiple levels, meaning that we might have a solid idea as to what he’s trying to say but still be unable to guess which eccentricities the story will ambush with; a salute to all friends out there doing brave decryption work despite knowing that any concrete predictions are bound to be wrong. And that’s part of the charm! As someone who isn’t really into the community aspect of anime consumption anymore beyond talking with my friends, Ikuhara’s series are one of the few that can motivate me to follow other viewers’ speculation – if that’s your jam and you’ve never experienced one of his shows, you’re in for a treat. Admittedly, his characterization can suffer from shorter lengths so noitaminA’s 11 episodes aren’t ideal, but there’s a reason his works have resonated so profoundly with multiple generations of fans. Be it the mystifying storytelling, the themes at the core of it all, or both at the same time, you’re likely to find something that fascinates you in Sarazanmai. Give it a try. 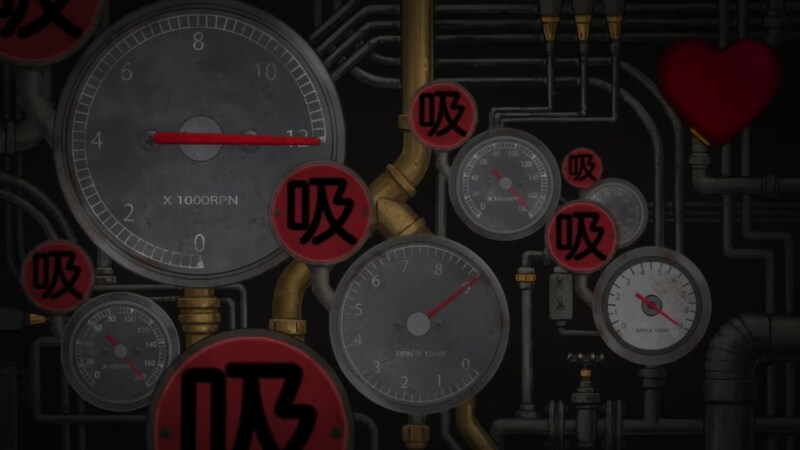 That should be enough to sell you on Sarazanmai, but for those who’d like to know more about the crew behind it, I’d like to dig a bit deeper. 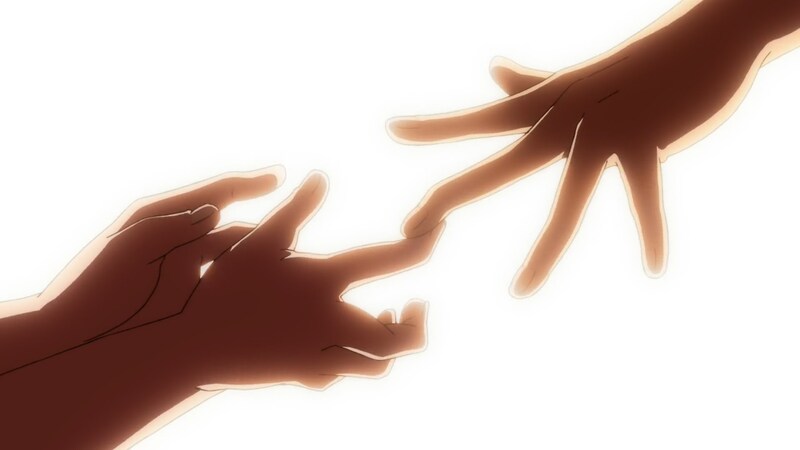 Another key point in Ikuhara’s anime, inseparable from its message, is the visual delivery. 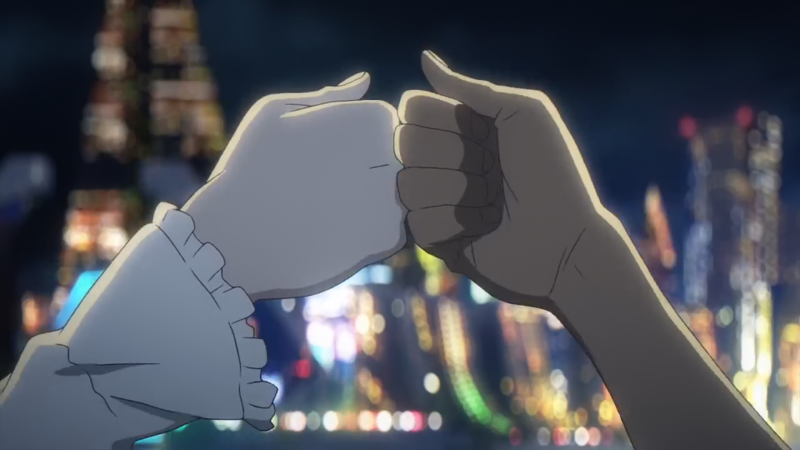 Even among other Dezaki School followers, no one distills ornate shoujo imagery to its most elegant essence in such a striking way, nor do they weaponize animation shorthands to make societal points like he does; incidentally, I feel like that’s why some people had a strong negative reaction towards Revue Starlight‘s usage of a similar visual vocabulary despite not having as poignant of a message, in their opinion. Either way, it’s important to note that Ikuhara’s unmistakable visual identity will be accompanied by… another creator’s unmistakable visual identity. Sarazanmai‘s chief director is ex-SHAFT secret weapon Nobuyuki Takeuchi, whose low angle camera moments and entire sequences that look straight out of Bakemonogatari are all over the promotional material. His magnum opus Mawaru Penguindrum #09 proved his compatibility with Ikuhara is excellent, so I’m glad we can count on him as a regular storyboarding asset this time around. Those two aren’t all you should be looking forward to either. 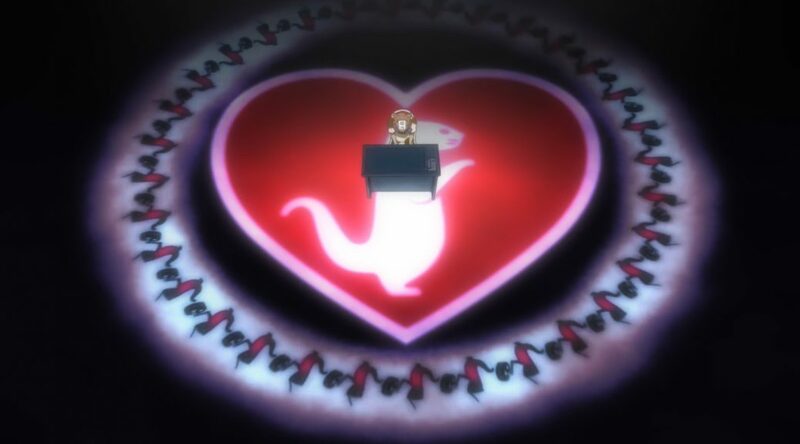 As you might recall, Ikuhara’s exceptional scouting skills were the framing mechanism in our previous Sarazanmai writeup. He has a great eye for diamonds in the rough to begin with, plus experience as a mentor that can be traced as far back as his Toei Animation days; his give-and-take relationship with Junichi Sato and the full-blown mentorship of Mamoru Hosoda and Takuya Igarashi are the most popular examples, but his stylistic influence on the studio’s directors remained even beyond his own departure. In his modern productions, Ikuhara has taken that role of instructor to a whole new level, and surrounded himself by youngsters who range from promising new directors to entirely unknown prospects he’ll promote to key roles with no hesitation. That risky strategy has historically paid off well: his pupils have done a massive amount of work in all of his productions since Penguindrum, and collaborating with him has launched their careers. Shouko Nakamura (chief director in Penguindrum) reformulated her design philosophy working under him and that’s allowed her to leap even further, whereas Tomohiro Furukawa (multi-tool in Penguindrum, Yurikuma Arashi‘s assistant series director) borrowed Ikuhara-inspired aesthetics he’d personally contributed to already to make Revue Starlight quite the stunning spectacle. And what about this time? You’d think that featuring a more seasoned veteran like Takeuchi as his second in command means that Ikuhara’s playing it safer… and you’d be wrong, because Maimu Matsushima – who was already listed as concept designer alongside another Ikuhara protegee like Katsunori Shibata – has been stealthily added to the credits as assistant series director, despite having no experience whatsoever beyond animation. Will Ikuhara’s boldness pay off again? Considering his track record, I have no reason to believe it won’t. We could be here all day, but since we’ll be covering the show for sure, I’ll be sparing you an even longer look at each individual artist involved and the role they play in Ikuhara’s grand plan. One of the most recurring reactions to the early look at the series was “I can’t believe they’re getting away with this on TV!“, which might have made me roll my eyes when it comes to less sincere works, but only made me more excited for Sarazanmai. Bring it on, Ikuhara. liborek: Nearly five years have passed since the broadcast of Shinichiro Watanabe‘s latest two TV anime projects, so it was about time for one of anime’s most renowned directors to make his return. His TV appearances in 2014 got us Space Dandy, an anthology series created as a means for creators to flex their muscles with no restraints whatsoever, as well as Terror in Resonance, a more personal tale that used a terrorism thriller narrative to examine modern society; regardless of the latter’s more mixed reception, it’s worth noting that it was the first time a certain Yuzuru Tachikawa of Mob Psycho fame was given a key role – assistant series director under Watanabe – in a full-length project. Not like that bit of trivia should change anyone’s feelings on it, but it does mean that it played a remarkable role in the career of one of the most interesting directors who’ve surfaced in recent years. As it turns out, it’s not just Ikuhara who has a talent for scouting. But let’s return to Carole & Tuesday, since that’s what we’re here for. There’s no denying that there are many consistent traits to Watanabe’s oeuvre – multiculturalism, a visual language derived from western cinema, music at the epicenter of everything – but since he’s not one to present old wine in a new bottle, he attempts to surprise us all every time. For a change, this time he’ll have us follow two girls who desire to make music, despite (or due to) living in a dystopian future where art is mainly created by AI. The story will cover the meeting of the protagonists and their road to their debut, plus their career following that point in the second cours. And that begs the question: how come, despite valuing its role in animation so highly and being such a big fan himself, Watanabe had never created an original title textually about music? The soul from all his works is derived from specific sounds, and yet he’d hesitated to tackle stories with narratives explicitly about music, to the point that even an adaptation like Kids on the Slope arrived relatively late in his career. The reason’s simple and rather cute: he’s such a music geek he thought he might not be able to live up to his own standards. But as Carole & Tuesday began taking form, Watanabe realized that he could be confident in his genuine love for music after all. And when you add that passion to his usual desire to reach English-speaking audiences, plus a record label like FlyingDog celebrating its anniversary, you get an ambitious project that involved holding a worldwide audition to choose singers, while also contacting a long list of talented professional musicians. They weren’t the only ones taking this project particularly seriously either: since it also serves as the 20th anniversary celebration for Studio BONES, a company that gained notoriety for their ambitious original titles, the production had to pull out all the stops as well. In that regard, Carole & Tuesday‘s lineup serves as proof of how seriously they’re taking the project. Watanabe’s leading the efforts, of course; as the original creator and general director, his role consists of conceptualizing the overall story, leading the script meetings and overseeing the production from afar. 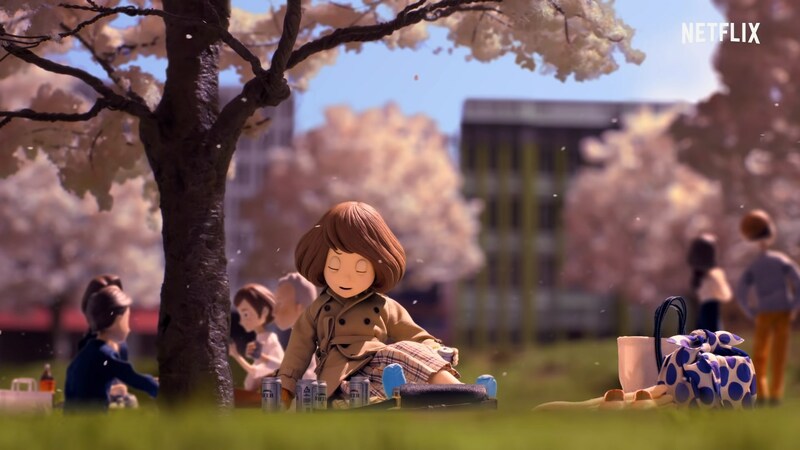 The technical side of it all was instead passed onto the hands of Motonobu Hori, an animator with substantial experience with digital pipelines and dedicated tools – a sensible choice for the performance scenes, which merge traditional 2D animation rotoscoped over real performances and 3DCG models of instruments. Since he’ll be in charge of the delivery of Watanabe’s tale despite never having led a project of this size, Carole & Tuesday‘s actual tone remains a bit of a mystery. Color us intrigued! While names alone don’t guarantee you quality work, the rest of the team being full of renowned individuals is at least encouraging. Eisaku Kobunouchi‘s trademark elaborate original designs were adapted into animation by BONES veteran Tsunenori Saito (Sword of the Stranger, Blast of Tempest), who happens to have a knack for simplifying complex concepts so that they’re manageable in animation, while at the same time retaining the fancy aura that drew fans to them in the first place. To keep an eye over that, Yoshiyuki Ito and Naoyuki Konno will act as the show’s chief animation directors – something you wouldn’t be able to deduce by looking at the staff lists, since they disregarded standards and credited them as main animators instead. On the art front, we find Mob Psycho‘s Ryo Konno, offering a sleeker scenery in contrast to the roughness of her previous work. But perhaps more importantly, Thomas Romain and Stanislas Brunet (working on their new, aptly named Studio NoBorder) were assigned world design duties; Watanabe’s committed to the worldwide feel of his works, hence why he’s seeking artists from all over to come up with a setting you can’t pin down to a single culture. A lot remains a mystery, perhaps more than people who think they’ve got Watanabe figured out realize, but this should give you some idea of what to expect… though since we’ve been talking about the presence of foreign artists, let’s end with a reminder that you should also be looking forward to its stunning opening by a certain overseas animator! Kevin: If you’re tired of our blabbering about the two shows we’re most excited about… I won’t apologize, but let’s get more to the point to adapt to a more straightforward yet nonetheless extraordinary production. Demon Slayer: Kimetsu no Yaiba is the latest addition to the list of Weekly Shonen Jump adaptations that forego long-running TV serializations – which tend to adapt better to their storytelling – in exchange for much more high profile productions; though the decisions aren’t made by the same companies, it’s fair to say that it’s following the steps of titles like Haikyuu, HeroAca, or Neverland, and paving the role for others doing the same soon like Dr Stone. The struggle to cut up larger tales into satisfying chunks has been undeniable, but the ambition of most of those productions is also on a different league than shows that are perpetually airing, no matter how impressive their isolated highs can be. And that’s going to be Kimetsu no Yaiba‘s selling point. Its easy-to-digest revenge story could have been a compelling enough watch on its own, but there’s no denying that demon slaying is way cooler when presented with incommensurably high production values. Though he’s not exactly beloved among ufotable fans due to his workmanlike storyboards, series director Haruo Sotozaki comes with the added benefit of always working alongside character art legend Akira Matsushima. The latter’s designs this time feature very attractive variable lineweight, which resembles traditional pencil strokes at its thickest but maintains the finesse only more detailed linework can have. Maintaining that demanding style with extremely polish, even during the 3DCG environment-fueled setpieces Sotozaki is fond of, wouldn’t normally be doable… except we’re dealing with a studio renowned for its great management practices – please don’t say the words “God Eater” and “paying taxes” – who’ve been granted a good schedule for a change. 5 episodes were finished early on so that they could remix them into a teaser movie of sorts, and at this point about twice as many are already finished. Let’s enjoy a healthy slaughtering of demons! Kevin: To compensate for all the hyperviolence in Kimetsu no Yaiba, we wanted to highlight some laid back, cute comedy as well. And while I’d usually be the first one to put Dogakobo’s offering high in our list (especially when I can make the recommendation without being put in a different list myself), Sewayaki Kitsune no Senko-san seems to lacks their usual high energy – something the staff can’t be blamed for, considering their impressive achievements in less than ideal scheduling situations for their recent projects. Instead, I’ll gladly focus on Takefumi Anzai‘s full-length directorial debut: Hitoribocchi no Marumaru Seikatsu. Its source material could have stopped at “haha, isn’t social anxiety funny,” but fortunately for us, the author settled on the radical idea of writing decently funny jokes and making sure nothing comes off as mean-spirited. Snark aside, the point was that Hitoribocchi‘s a charming comic, a breeze to read, and that now it’s landed in the right hands to keep that pleasantness. If you follow this site regularly, then you might recall Anzai for his extensive contributions to both seasons of Mob Psycho, but the truth is that he’s an absolute all-rounder who can handle comedy with diverse degrees of intensity just fine. Trained at studio BONES and later matured at P.A. Works, Anzai’s part of the talent vector connecting those and young studio C2C; as you might have noticed if you watched Junichi Wada‘s SukaSuka (which Anzai worked on as well), C2C exploits that link with a powerhouse like BONES to achieve production highs you’d never see from a modest support studio only recently gone independent. Not that you should expect production extravagance from this show, but as seen in the teaser trailer and some tidbits in the first episode, they’re not against sweet character animation either. And neither am I! You’ve likely noticed that we’ve chosen to highlight fewer titles than usual, and instead went more in-depth with our top choices for the season. This isn’t meant to imply doom for current anime over the next few months – if anything, this spring feels unusually big. We’ve got the aforementioned industry titans returning, plus a few new entries in popular franchises, some of which with interesting directors at the helm too; special mention goes to Bungo Stray Dogs S3, which we skipped earlier because not much is due to change, but will still offer the Igarashi goodness all its fans love. We also passed on Attack on Titan Season 3 Part 2, which technically has changed its lineup in major ways (action specialists like Tetsuya Wakano, Tatsuya Miki, and Naofumi Hashimoto tagging in to compensate for a nightmarish schedule and Kabaneri sucking up talent) but is bound to end up with the usual uneven mix; rough around the edges, but with incredible highs when the likes of Arifumi Imai appear. I heard there might be another super popular action anime returning this season too, but that sounds like a collective hallucination to me. A recent theme in anime is nostalgia exploitation, but even that shows its sweeter side when iconic titles are revisited and actually given the care they deserve. As someone with fond memories of Fruits Basket, I’m pleased to say it’s been granted the best of both worlds: approached as a long-running production by the team so they’ve already got quite the buffer of finished episodes, but still with a split broadcast that ensures the staff will be able to keep making the show with a reasonable schedule. In the current climate, that’s something we can be happy about, both in a working conditions level and what it means about the consistency of the production. On a similar note of revisiting classics, MIX is a standalone sequel to Mitsuru Adachi’s TOUCH that serves as a reasonable introduction to his emblematic take on sports series, even if it doesn’t match the emotional highs of his previous animated work Cross Game. Though I could tell you that it has a cool OP by someone whose career we’ve written about in this site (which I won’t because that’s a secret as of writing this), you might have noticed the trend here: plenty of appetizing offerings, but modest productions all around. A few exuberant projects have been pushed back, and the obscenely strong lineup of anime movies during Spring-Summer sapped talent from the TV pool as well. In situations like this, I like to point at titles like this season’s RobiHachi: directed by Shinji Takamatsu (Daily Lives of High School Boys, Boei-bu, and so on), an expert on glorious nonsense and getting as much mileage as possible out of little resources. We all enjoy productions blessed with skillful people and generous schedules, but if there’s one thing anime’s good at – sometimes to a depressing extent – is making the best out of its limitations. 10 years ago as of this week, philosopher Yui Hirasawa theorized that fun things are fun, so try to enjoy your slightly more austere cartoons. And if nothing we’ve said has convinced you, ignore it all and just go watch KING OF PRISM Shiny Seven Stars, likely to be the most special experience on a genre of its own. Or Rilakkuma, Netflix’s actual crown jewel. You’re still in time to love yourself and give Aikatsu! Friends an opportunity too – you only have a year to catch up with it and then the rest of the franchise when you’re hooked. Am I allowed to count the inexplicable vtuber soap opera Watanuki-san Chi no as anime? Anime-adjacent? No? Don’t care. You’ll never take me alive, coppers. Ah Ufotable, we meet again. Just a quick glance at the Demon Slayer PV and I’m already excited. I just can’t help myself when it comes to their strokes and shading. Carole & Tuesday wasn’t on my radar but it does look very good, so you’ve persuaded me to check it out. Besides the changes in the main staff, has there been any announcement (off the record or not) regarding animators/directors/storyboarders working on Attack on Titan Season 3 part 2? Curious about that one since it’s going to be quite action heavy compared to previous seasons. Since the post starts by asking “where are the interesting creators hiding”, should the answer be “at the movies”? There’s a very fat lineup of releases this “season”, with originals by Imaishi x Nakashima, Yuasa x Reiko Yoshida, a novel adaptation by Keiichi Hara x Ilya Kushnikov (!!! ), and franchise films like Koike x Lupin, Araki x Kabaneri, Ishihara x Euphonium, the Bunny Girl film… Are you going to cover some of them once they hit the theaters or the disk releases come out? That’s the plan, yep. I’ll be covering as many of them as I can watch (I assume Annecy’s going to feature *a lot* of them since it’s anime-focused this year) as long as I feel an early look-style post is worth the effort, otherwise I’ll just wait for them to be out on bluray. I’m not exactly excited for Promare because KLK obliterated my faith on that duo, but if it’s a positive surprise I’ll be happy to write about it and talk more with certain people involved in the production. I’ve enjoyed Koike Lupin but never truly loved these movies for the simple reason that if it’s thieving adventures, I prefer silliness over coolness. That said, you’re right in that this one’s sounding like the most interesting of them all, because it’ll highlight the contrast between Koike and Sayo Yamamoto’s approach to the same character. We never learn was definitely a surprise, not only the op but the episode itself had really great drawings and that consistent three-dimensional shading, that’s something I haven’t seen in a while. Really amazing, I hope that becomes the standard one day. Nice to see an Aikatsu shout out on here. It’s my happy place. 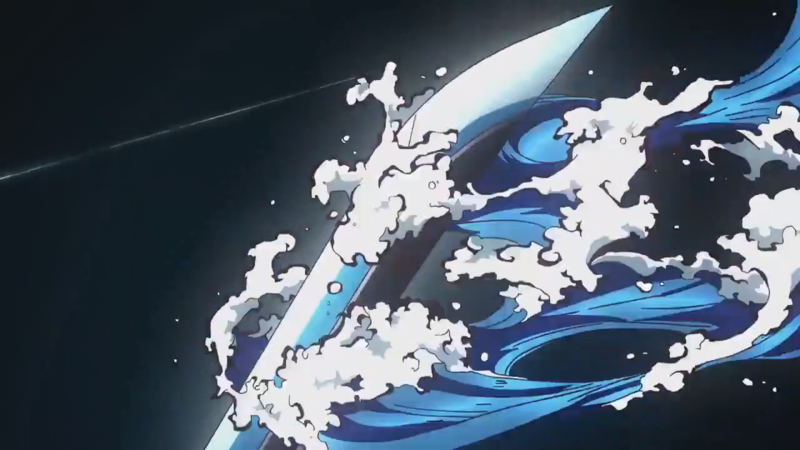 Lots of fun, Sunrise-y action cuts in the first episode of the new season, too. Climb enough mountains between today and tomorrow and someone might put out a post on that episode.